Gunman at Large After Shooting at Florida High School - Integration Through Media ....! 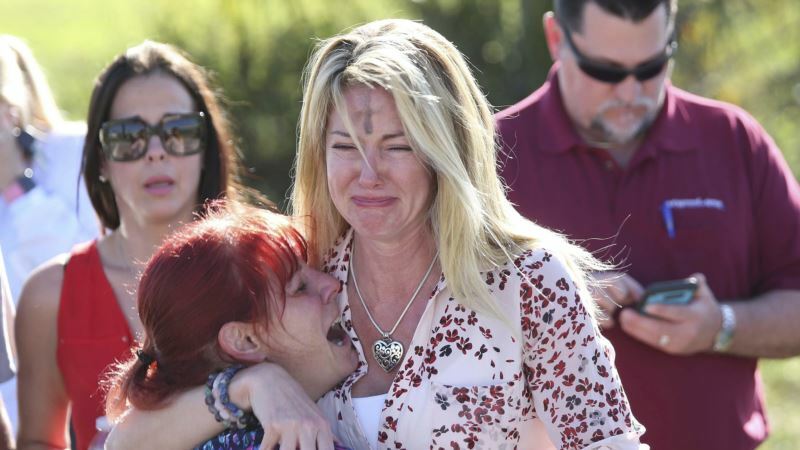 (VOA): The Broward County, Florida, sheriff says the gunman who opened fire at a high school in Parkland is still at large. Details are scant, but local television stations say at least 20 people were wounded. Police have no information on the victims or how seriously they have been hurt. They describe the situation as an "active situation." The FBI is on the scene. Television pictures showed students streaming out of Marjory Stoneman Douglas High School, about 72 kilometers north of Miami, and 24 kilometers west of Fort Lauderdale. Several victims could be seen being loaded into ambulances. Some of the students say all appeared to be normal inside the school when the school fire alarm sounded. They say they heardgunshots while they were leaving the building and that a number of students ran back inside for cover. Police and emergency workers are surrounding the neighborhood and urging anyone who does not belong there to stay away.